On a recent trip to the East Coast, I decided to take a detour to visit my mother's cousin, Jim, who lives in Pennsylvania. 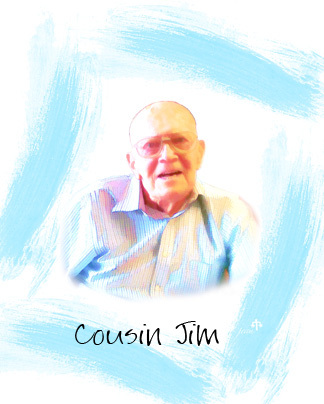 Jim is much loved and respected by his extended family and by all who know him. A former Professor Emeritus at Southern Illinois University [at Edwardsville], he is one of the most intelligent people I know. Of all the members in our extended family, Jim and I are the ones who got the Parkinson's diagnosis. And there is one other family member whom PD touched: my Great-Grandfather James. Both Jim and my mother remember visiting their Grandfather James as he lay in bed with the "Shaking Disease." Although he was diagnosed with PD a couple of years after I was (around 2005), Jim has experienced a very different disease progression. He fought Parkinson's by participating in clinical trials for a long as he could. Now in his mid-80's, he spends his days in a nursing care facility and can no longer speak, eat, or drink. Because food and liquids aspirate in his lungs, he now takes all medicine and food and liquids through a tube in his stomach. My parents and I spoke to Jim regularly over the past few years. I'd always check to see how he was doing. Now whenever I phone him, I regale him with a monologue of family news and PD advocacy stories. So for this visit I brought my laptop with family photos and a short video to show him. He remains alert with all of his mental faculties. When I looked into his eyes, I could see the brilliant man I had always known was still there, trapped in his body by Parkinson's. Jim is the hidden face of Parkinson's disease. There are thousands of people in the US like him who are bed-ridden or are living in care facilities and can no longer get out. But even though they are invisible to us as we go about our daily lives, let us remember them and their on-going struggles with this terrible disease.